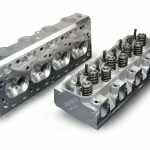 Valve springs have two primary tasks: first, to close the valve after the camshaft opens it and, second, to maintain proper valve clearance, also known as valve lash. 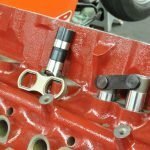 Valve clearance, or tappet clearance, is the gap between the tip of the valve and the rocker arm when a solid lifter is positioned on the base circle of the camshaft. This clearance accommodates thermal expansion created by engine heat. Metal expansion rates differ between the block, heads, pushrods, valves, etc., and a gap commensurate with the collective expansion is set accordingly. Exhaust valve clearance is often greater than that of the intake valve as it runs hotter and, therefore, grows in length, reducing valve clearance. Unlike solid tappets, hydraulic systems operate with zero clearance. As the valve seat wears, the valve moves slightly upward in the cylinder head, reducing valve clearance. If clearance vanishes and the valve does not close fully, compression is lost. Furthermore, escaping hot combustion gasses burn the valve head. 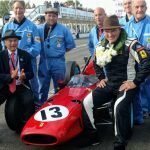 Similarly, when combustion occurs on race engines, heat and pressure can distort the valve head, cupping it and pushing the valve upwards through its seat, thus consuming some of its clearance. On overhead cam engines, which have fewer valve train components to absorb deflection during combustion, the effect of lost clearance can be evidenced by a little shock imprint on the camshaft’s base circle caused by the lifter. In contrast, excessive clearance is detrimental to the entire valve train. As the bigger gap builds momentum, the rocker pounds the valve tip. The resulting impact resonates back through the valve train potentially damaging the lifters. Lastly, rocker ratios have significant effect on valve clearance. Greater rocker ratio means greater valve clearance. For example, a 2.0:1 rocker with 0.020in clearance between the valve tip and rocker tip corresponds to 0.010in of clearance at the cam lobe. Thus, a 1.5:1 rocker with 0.015in clearance would provide 0.010in clearance at the cam lobe. So, the greater the rocker ratio, the greater the clearance is required to place the lifter at the right position on the cam lobe. In addition to excessive valve clearance, weak springs (thus, insufficient valve seat pressure) is a further common causes of valve bounce, which impels the valve head to hammer on the valve seat during closing. In competition engines, valve seat pressure is closely related to engine speeds and valve train weight. 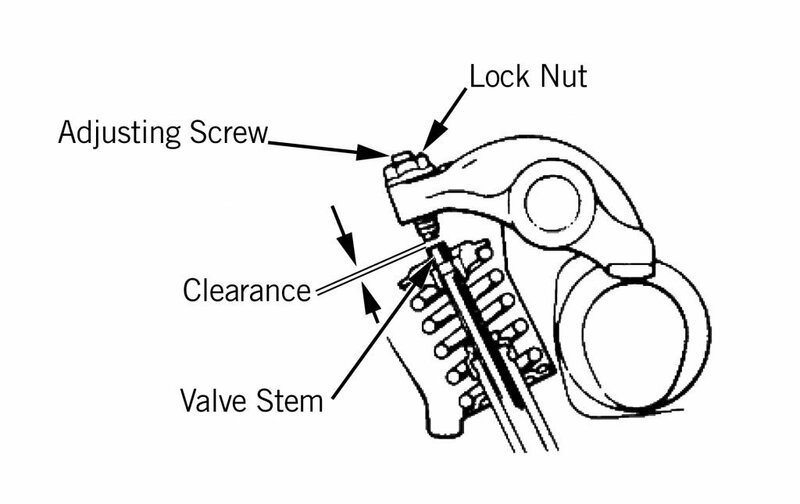 The heavier the valve, retainer, and rocker, the more susceptible the engine is to valve bounce. 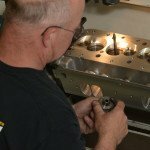 The minimum valve seat pressure on a small-block Chevrolet competition engine should be 250 to 290 pounds per inch. Valve bounce results in noise and decreases engine power and, eventually, causes engine damage to the valve or piston or cylinder head. On street engines, weak valve springs often induce misfiring and a loss of power around 3,000 to 4,000rpm. At high engine speeds, the valve spring is responsible for controlling valve float. This is a condition where the lifter does not follow the cam lobe all the way around. It’s easy to imagine the lifter lofting off the apex of the cam lobe and crashing down on the closing ramp, upsetting the entire valve train. But it is also possible to accelerate it so fast it loses contact halfway up the opening ramp, notably before it reaches the apex. In either event, if sustained, the consequences will be chronic. To calculate minimum open valve spring pressure, Erson Cams uses the following formula: 100 pounds per every 0.100in of valve lift. Therefore, a camshaft with 0.700in lift requires a minimum of 700 pounds per inch of open valve spring pressure. Similarly, a camshaft with 1in of lift requires a minimum of 1000 pounds per inch of open valve spring pressure. A weak valve spring or a spring of inadequate pressure promotes spring surge. An undesirable harmonic or vibration, surge can break the spring or induce valve seat recession or rocker arm failure. Surging is discernible on a Spintron tester video, particularly when the spring closes. Surge typically begins when the valve is fully open. If insufficient spring pressure is present, surge is intensified as the valve closes on the seat. 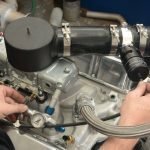 Race engine builders often don’t concern themselves unduly with open pressure or seat pressure—providing it’s in the 250 – 270 pound per inch range. Instead, they would set the valve springs within 0.050in of coil bound. This eliminates most of the surge because there is so little remaining space available on the spring for surge to develop. Thus, setting the spring coils closer when the valve is fully open tends to damp the onset of surge. The installed height of the valve spring is the distance between the spring seat (or cup, or shims) and the bottom outer edge of the spring retainer when the valve is closed. Deterioration in the cylinder head, valve seat, and valve stem can alter the installed height. The valve spring, however, can be adjusted with specially designed shims between the spring and the spring seat. Shims are available in three thicknesses: 0.060in (to preserve weakened springs in service), 0.030in (to set new springs properly), and 0.015in (to balance spring pressure). 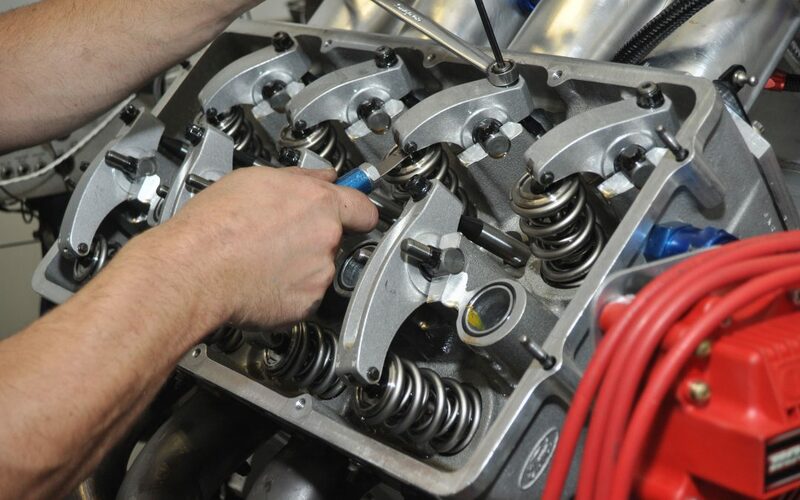 Diligent racers make an effort to monitor valve springs and check valve clearance regularly.